The walls of Deptford’s Job Centre are being taken over by an exhibition of drawings coming from Tunisia, Greece, and Italy. Behind them there is not one artist, but Thraedable, an emerging social enterprise that mixes art, fashion and information. To fulfil its mission to raise awareness about little told social issues and to raise funds for organisations that offer sustainable solutions to these issues, Thraedable partners with grassroots NGOs around the world and involves their beneficiaries in art workshops, which have already given more than 200 people a channel for expression. These drawings are the inspiration for Thraedable’s environmentally friendly t-shirts and bags. 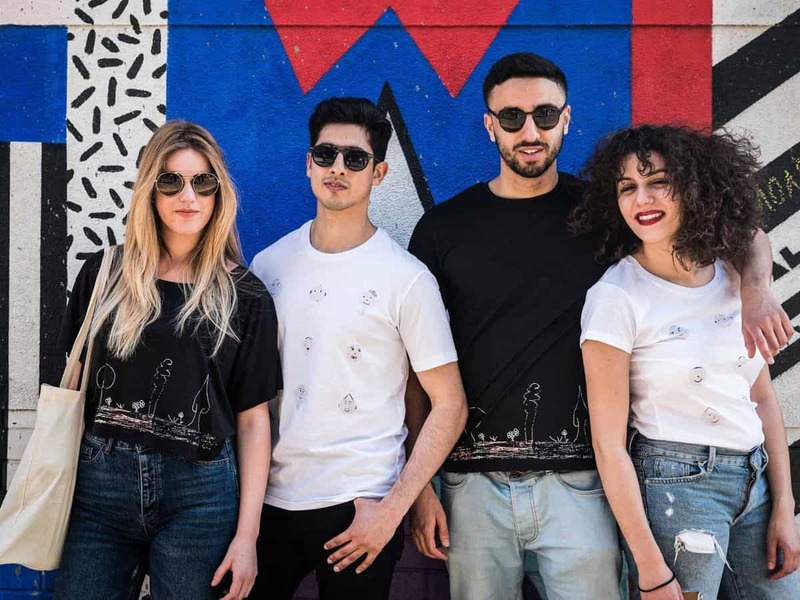 “Clothes are a medium that every person can see” explains Aghiles, co-founder of Thraedable, “and this is why we decided to use clothes as a canvas to tell stories and to give voice to the voiceless”. 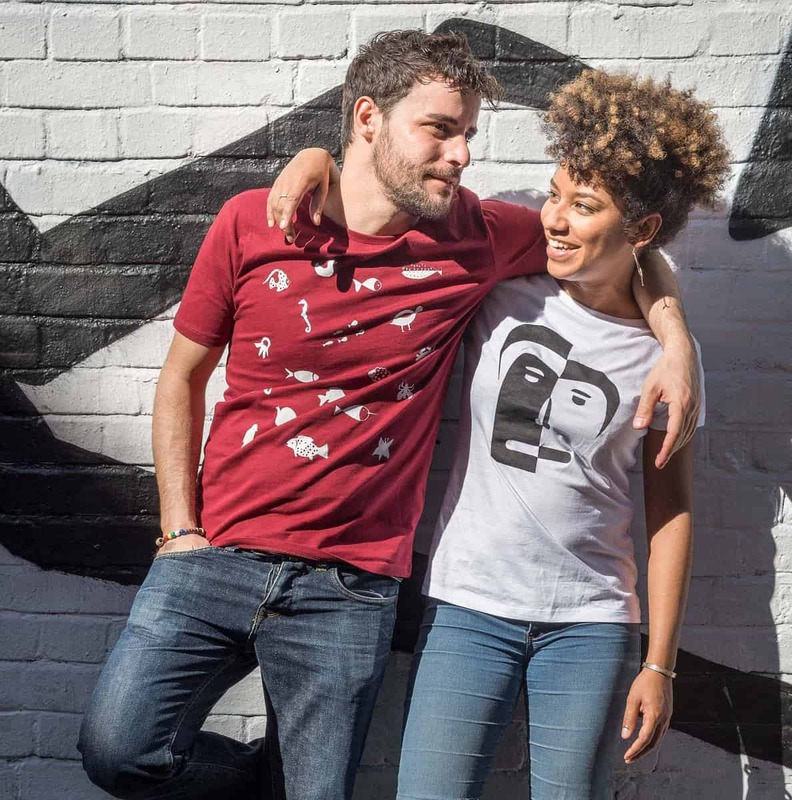 Through its 50 Threads scheme, Thraedable shares 50% of its profits with partner grassroots NGOs that support the same people who inspire Thraedable’s clothes. Thraedable’s very first collection will be launched through a crowdfunding campaign on Up Effect, where Thraedable will attempt to raise £10,000 to launch production offering the possibility to pre-order with exclusive discounts. 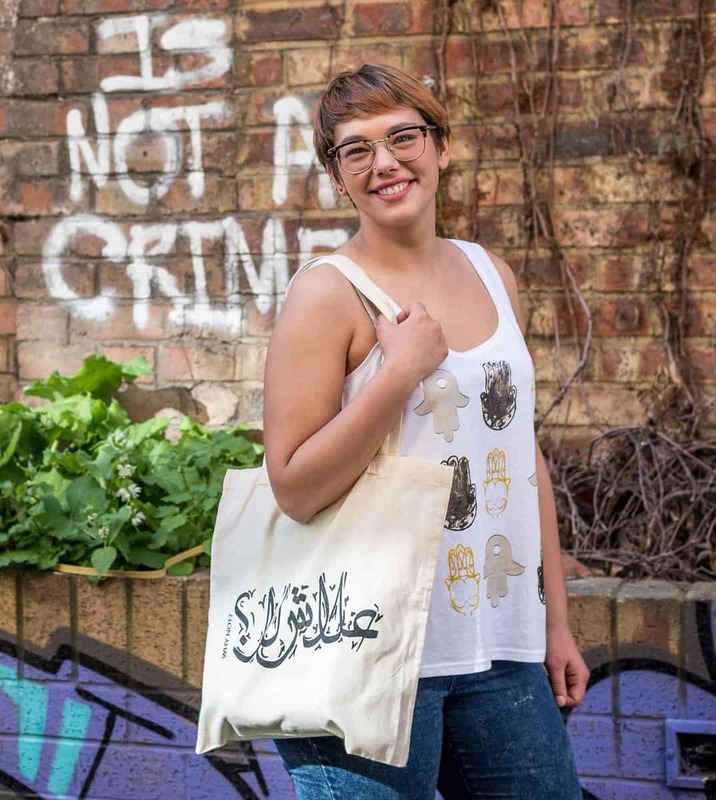 “We heard so many powerful stories that it was very hard to choose which drawings would become designs, and we have in mind many more than those included in our launching collection”, says Cristina Orsini, the other co-founder of Thraedable. “The creative process behind our products is very challenging and exciting” continues Aghiles, “our workshops involve people who are not artists, and we never know what will come out”. Ultimately, Thraedable is not after discovering new Picassos, although they often discover a raw painter; but all about the stories that these drawings tell. During each workshop, Cristina and Aghiles ask participants if they want to share the “why” of their drawings and diligently take notes in their travel notebook, to then report it to the public. In the meantime, as not all drawings can end up on a piece of clothing, Cristina and Aghiles have decided to organise pop-up exhibitions so that more stories can be told, this time through drawings on the walls. The exhibition replaces the usual decor of the Job Centre from 29th May to 24th June. For those who cannot make it, Thraedable also raises awareness about the invisible issues tackled by its projects through an online magazine in English, French and Italian. Compelled by what they have seen during one of their projects in Lesbos, Cristina and Aghiles also became incidental filmmakers and produced a short documentary called “Inadmissible”, which explores the consequences of the EU-Turkey deal on the lives of asylum seekers on the Greek island of Lesbos. Filmmaking, curating exhibitions and revolutionising fashion, these are the ways chosen by Thraedable to make a positive impact in the world and to “thread” different communities together.